This blog and it’s sister Ask An Aspie are coming soon as a book! I have a request for my author readers and friends. I am trying to learn about the mechanics of publishing books and, as you may have picked up, I tend to learn best by doing things hands-on. 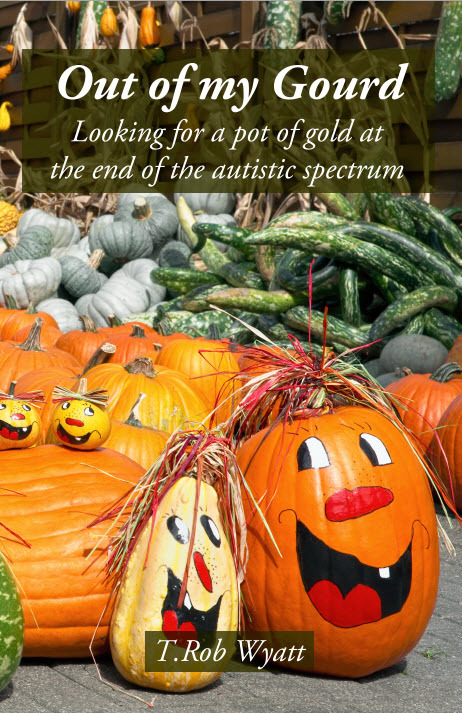 With this in mind, I undertook to self-publish a collection of blog posts from The Odd is Silent and Ask An Aspie, focusing on those that are humorous and/or about autism. That you didn’t actually read it. Conversely, that I couldn’t possibly pay you enough to waste your time reading it. I’m not as funny/autistic as I think I am. Basically anything funny you can think of that doesn’t indicate you read any of the content, or that explicitly states you didn’t read it. Based on the types of quotes I’m looking for, reading the book isn’t actually necessary. In fact, if you follow the blogs, you have read the book. However, I’ve posted a preliminary PDF here (lo-res 9MB), and I’ll send a dead-tree version on request to anyone who contributes, once I get it to print. Replies to this post will be considered eligible, however feel free to send them to me at outofmygourd@t-rob.net if you prefer privacy. If you know of other writers who would think this is funny (I miss CJ, he would probably have jumped on this), the more the merrier. Apologies for the double posting if you subscribe to both blogs. “He has his name on a book. Now, so do I.” – DH Hanni, author of this comment. This entry was posted in Aspergers, Humor and tagged Book, Favors, Publishing. Bookmark the permalink. 1 Response to Out of my Gourd! Thanks everyone! I am relocating comments into the main body of the post so the comment thread doesn’t get outta control. I’m also putting links back to your blog and/or book as I move them up. I’m currently working on the print version but when I format it for e-book I hope to have all these as hot links. We’ll see what Kindle allows me to do with that, but that’s the plan.